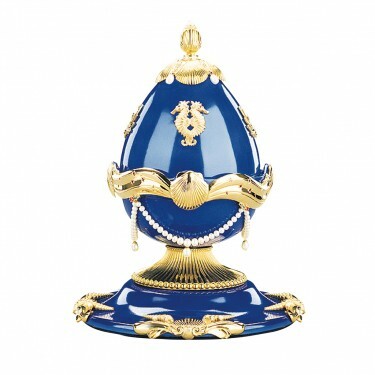 Theo Fabergé's love of the sea is celebrated in this second in the series, which originated with Millennium Fountain (2000). 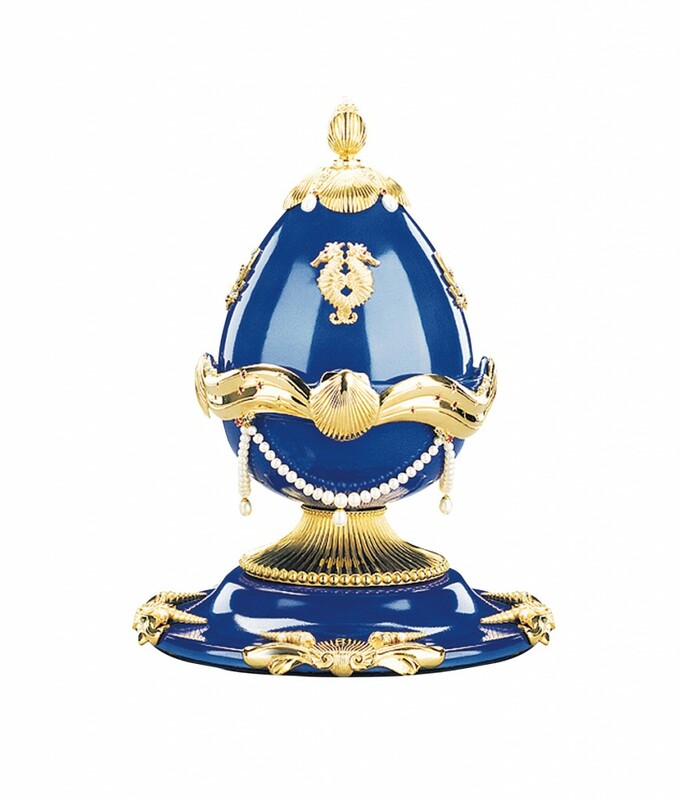 The porcelain Egg in deep marine blue is surmounted by diamonds and encrusted with vermeil shells set with blue topaz, pink tourmaline, yellow citrene and pearls. Entwined seahorses with sparkling ruby eyes swim among enamel flowing sea flora. 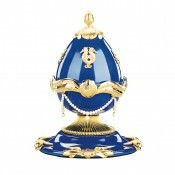 The surprise within - flowing with a cornucopia of pearls, a nautilus shell. 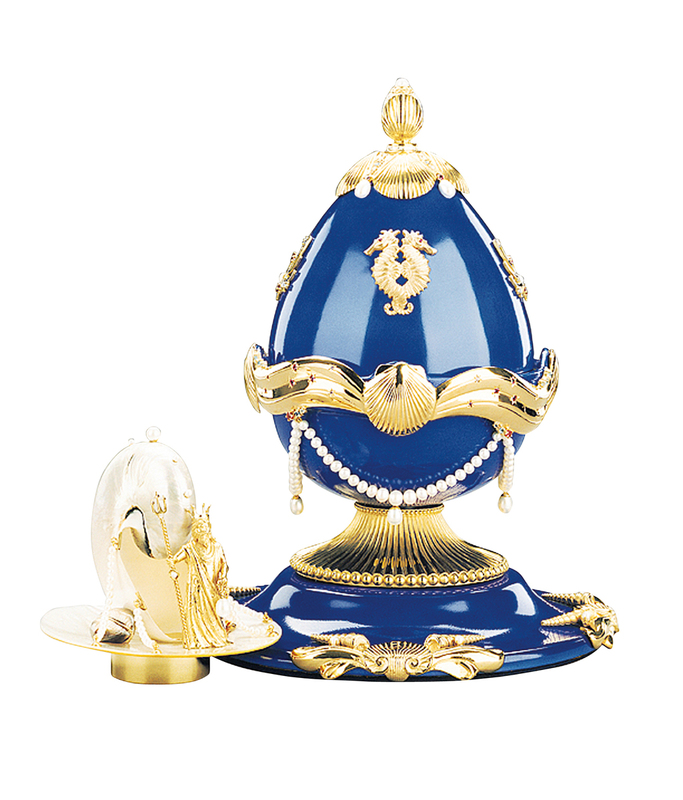 The entrance to the shell is guarded by the King of the Oceans; Neptune, with his full regalia, trident in one hand and a roped miniature Egg in the other. The surprise under the sea is a further cluster of shells arranged as a separate object for display. 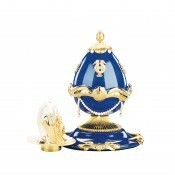 Materials: Porcelain, sterling silver, 24 carat gold and pearl.